ONE FINE DAY, Myers Mavina was borned on 11 February 2013. This time round we didn’t get back to the same home breeder. We got her from the well-known home breeder in Singapore, Hubert Tan. 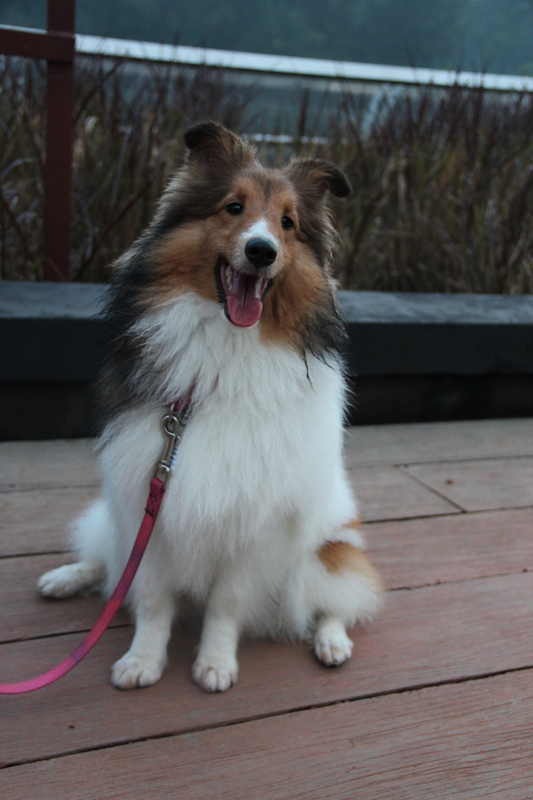 His shelties are all from American and they have different look compared from Australian Shelties. They are broad and have a bigger coat. She was one of the six newborn sable white shelties but her coat colour was different among all. She is considered a Colour Headed White. This is unique. Because of her uniqueness, we decided to choose her. She is the only one.